We're feeling a more relaxed, acoustic vibe at Plunge tonight. 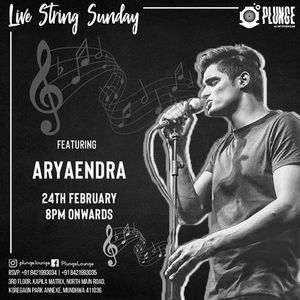 Join us for our Live String Sunday set featuring Aryaendra starting 8PM tonight! Shisha Cafe presents Jazz Night!